HELENA – Montana Gov. Steve Bullock has vetoed bills to restrict abortions and the governor’s use of the state airplane, along with another that would have allowed people to carry concealed weapons in restaurants where alcohol is served. The bills are among 14 that the Democratic governor vetoed Thursday and announced Friday. He signed an additional 62 bills passed by the Republican-led Legislature, which adjourned last week before flooding his desk with 260 bills to consider. Legislation by Republican Sen. Keith Regier, of Kalispell, would have outlawed most abortions after 20 weeks of pregnancy, which is when the bill says fetuses are capable of feeling pain. Bullock wrote in his veto message that the measure goes against the Montana Constitution and U.S. Supreme Court rulings that give women access to abortions at all stages of pregnancy to protect their lives and health. “Montana’s elected officials have no business substituting their personal beliefs for the sound medical judgment of our healthcare professionals or the deeply personal medical decisions of their constituents,” Bullock wrote. A bill by Republican Rep. Brad Tschida, of Missoula, would have required governors to fully reimburse the state for use of its aircraft for campaign-related activities. It also would impose a complete ban on using the state plane for flights to campaign events 60 days before an election. 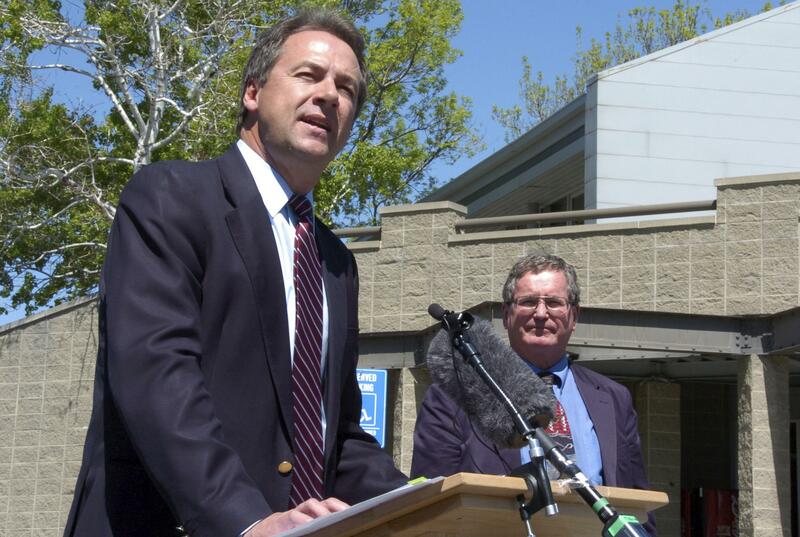 Tschida previously filed an ethics complaint against Bullock over the state plane, saying the governor misused state resources when he flew to a Paul McCartney concert in 2014. The ethics complaint was dismissed. Bullock said in his veto message that the bill aims to curtail the governor’s movement across the state and that his office already has a reimbursement policy in place. The bill is too broad and would result in lawsuits and complaints “every time the governor travels anywhere, for any reason, using the state airplane,” Bullock wrote. Rep. Seth Berglee’s bill would have lifted a ban on concealed weapons in establishments where food and alcohol are both served. Bullock wrote that he vetoed the measure only after his proposal to amend the bill was rejected. Bullock had proposed that people only be allowed to carry concealed weapons in restaurants where alcohol is not served. Published: May 5, 2017, 4:05 p.m. Updated: May 5, 2017, 4:21 p.m.